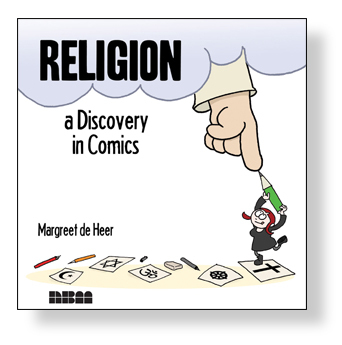 Today is the official debut of Religion: a Discovery in Comics, at the Small Press Expo in Washington! The book looks beautiful, it’s hardcover just like the other two in the series, Philosophy and Science, and has unique endsheets that the original Dutch version didn’t have. It’s a must-have! If you’re into the subject matter, of course. The book describes the five major world religions: Judaism, Christianity, Islam, Hinduism and Buddhism. 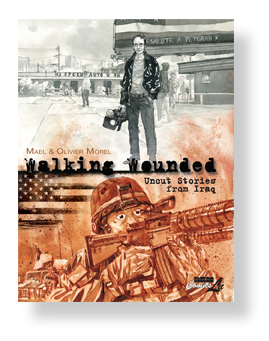 It gives information on their histories, holy people, books, places and practices, as well as some personal observations and experiences the author had as a preacher’s daughter and theology student. Just click on the picture to see the video on Youtube. 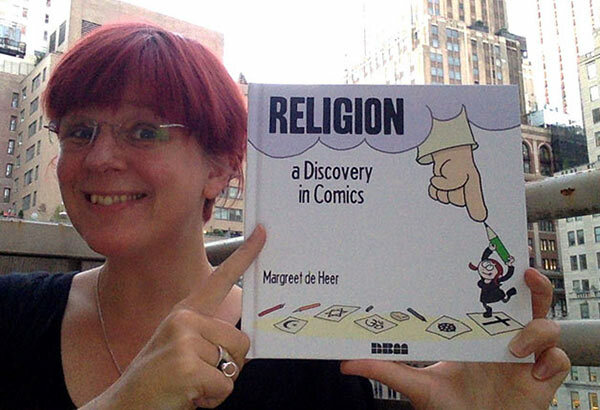 Today, author Margreet de Heer will be signing her book at SPX and tomorrow she’ll be at the Brooklyn Book Festival. Check her and the new book out at the NBM stand!